Black Cats, Calico Cats, Tabby Cats....purrfectly adorable! 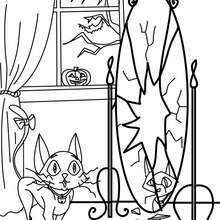 Be enchanted by all the purrrfectly fun activities, crafts and coloring pages Hellokids.com Black Cat section has to share with kids. 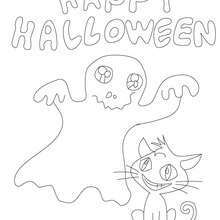 You can learn to draw a black cat from our drawing section or by watching a video, make a black cat costume for Halloween or just for dress up, paint your face to look like a black cat or even a tabby cat. 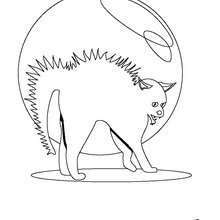 There are black cat dot to dot printables, puzzles, printable stencil pages to print and use to spookify your house for Halloween. 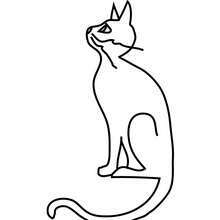 If you are a art connoisseur you will want to check out the cat illustration section. 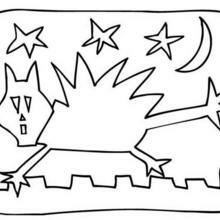 The illustrations were created by kids just like you. 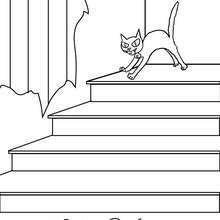 Furthermore, there are many black cat/cat coloring pages to paint on line or print and color at home. 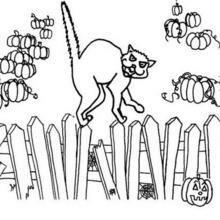 The printable coloring sheets are fun to use to decorate your house or room for Halloween. 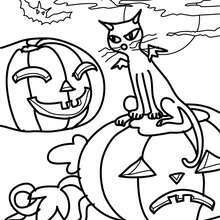 Our Black Cat coloring pages, crafts and activities are a great way to celebrate the Halloween season. Black Cats are a Halloween icon, grace many Halloween decorations and are a very popular costume to wear for trick-or-treating. 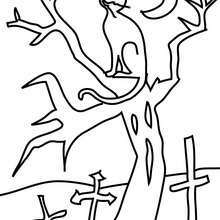 The black cat is usually used as a symbol of bad luck and often accompany the wickedest of witches. 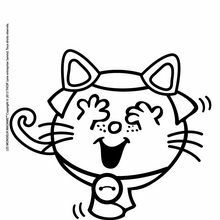 So, get ready to have fun with your family and friends exploring the Black Cat online printables and ideas. No house is complete at Halloween with out a terrifying Black cat picture. 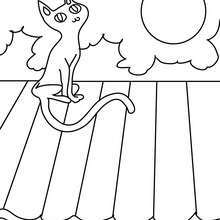 If you are superstitious you can paint your cat with lots of fun colors! 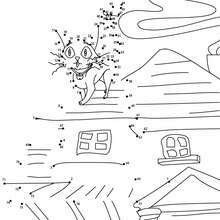 Be creative and have fun!